like the certificate to be sent to. & you may include a personal note too. The certificate is good till the total is used. completed to finish & send the order. any other offers, discounts or specials. Can not be used towards payment for shipping. Certificates are only good within the Continental USA. from a renewable farming source. even if they sit soaking in a water dish for the day. They are non-toxic from the paper to the glue used. No scents or flavoring are added either. generally a chemical based glue is used, it's cheap. How about soaking in a water dish for a day?? chew, carry or stuff in their face. & recycles all trim & waste generated during manufacturing. w/ applicable environmental laws & regulations. promote recycling and reduce waste. of our planet and the environment we live in. -it is #2 recyclable & can be tossed into your recyclable bin!! - does NOT contain any lead in the colors nor any BPA or phthalates. 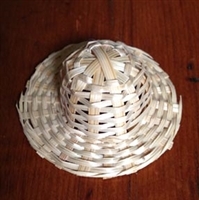 GFBToys uses 2 sizes of handWOVEN straw hats in my toy designs: 2” & 3-4” diameter. These hats are handWOVEN (they are expensive & unfortunately are not easily found anymore). But there is an importance difference between these handWOVEN versus the easily available SEWN hats. And the difference is why GFBToys uses the handWOVEN…they are plain & simple, nothing added!! The SEWN hats use a fine nylon filament thread that does not brake easily. On a bird, especially a small one it could get wrapped around toes, tongues, a wing, etc. Not advisable for any size critters either since they could ingest the threads which could bind up inside. These SEWN hats are designed for craft use, easier to produce & cost much less. I have been talking about parts & their difference for ions now. So I decided it is time to explain the parts that I use & why. Yes, GFBToys uses some parts that are more expensive than what other toy maker’s use that is similar, but knowing is important. Plastic chain Made in U.S.A. is important to me for many different reasons, from the company practices to what it is made from. The plastic chain company that I purchase from recognizes that, as a manufacturer of plastic products, they do whatever they can to promote recycling and reduce waste. They are committed to safety and the protection of our planet and the environment we live in. -The recycling is carried over into their finished products too. The plastic chain, which GFBToys only uses are #2 recyclable & the scrapes can be tossed into your recyclable bin!! -This plastic chain does NOT contain any BPA or Phthalates nor is there any lead used in creating some or any of the colors used. You know those really cute ¼” to ½” or even thinner or thicker cutout wood shapes (rocking horse, stars, animal shapes, etc) that you find at those stores or online… Hold one horizontally & do you notice that it is comprised of layers. Well these layers are glued together with a toxic adhesive/glue & are intended for craft use where this process is fine for, but not for pet chew use. There are really cute wood cutout shapes available out there that are made from solid wood, both in hard & soft woods. But don’t be surprised at their price compared to the plywood version. 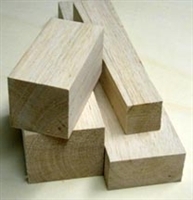 When searching, several suppliers do sell both the solid & plywood on their site or in store…remember to read all the info per shape/part. GFBToys chooses to only uses solid cutout shapes & wood parts in both hard & soft woods on our toy creations… No laminated wood parts are used. GFBToys also chooses to use as much wood parts as possible that are grown & milled here in the USA from sustainable sourcing companies. Sustainable, ethical sourcing of wood products from outside the USA is also as important too. GFBToys believes in supporting ‘Green’ ethical business. In this blurb, it is in the pursuit of the elusive toothbrush!! But unfortunately it isn’t. The brushing bristles, which are generally nylon, that’s not a problem & birds enjoy playing/preening them too. Well, the hidden issue is these bristles are held in with either teeny wires or staples imbedded in the toothbrush head to hold them in place. So the hunt for the elusive wireless toothbrush continues!! Playing cards…birds & critters enjoy them to chew on, shred & make confetti out of them. They appeal to all beak sizes from keet to macaw/toos plus small critters to rabbits too. You can find decks of playing cards in a variety of sizes, shapes, themes, thicknesses & colors to satisfy your creative design ideas. And they are readily available, basically an inexpensive & easy part to work with. Also, depending on how creative one is you can do quite a bit with playing cards. Unfortunately not all playing cards are created equal. Most playing cards have a ‘plastic’ coating covering them, especially if the cards come from China…Do you know what the ‘plastic’ coating is made of?? Many China made playing cards contain formaldehyde to help preserve them on their travels. How about the inks used on the cards?? What are they?? pigeons & doves in the San Francisco Bay Area. Palomacy provides avian vet treatment, foster care and adoption services. than 600 birds that otherwise would have been killed in shelters. specials, coupons, etc. No bulk parts. Gift Certificates are FABULOUS too!! May not be combined with any other offers, specials, coupons, etc. with your order donation an invoice will be sent to The Oasis Sanctuary. Using the same part on a bird toy versus using it on a critter to rabbit toy… Unfortunately not all parts are equally safe for usage in both. This blurb is about the smaller Plastic Beads (Seed beads, Pony beads (varying sizes) to Donut beads (a bit larger/fatter pony bead). These varying sized beads for birds (using the appropriate bead to beak size are for the most part safe… NOTE: There is ALWAYS the exception…know your bird!!) There are birds that enjoy ‘popping’ beads, run their tongue over or fidget them, move them around, etc… Just having fun with beads!! But these same sized beads could be a danger for critters to rabbits on their toys. These beads are small enough to be swallowed like food when removed from the toy by accident. This could especially happen if the beads are used on a toy designed with food. GFBToys chooses to use wooden beads, either natural, un-dyed or ones that have been colored with safe dyes for safety. Plus wooden beads are good chewing for their teeth too. Another possible danger with the small plastic beads is they could get stuck on a tooth when the critter attempts to bite down…that would be tough removal from a mouth in panic. Or the critter could even snap/brake a tooth too. GFBToys choice to use natural, un-dyed or safe dyed wooden beads &/or wooden nickels/discs but will NOT include the use of painted beads. Not all paint used on wooden beads are safe… Where was the painted wooden bead made?? What was its intended use?? When was it made if you find it at a tag sale (example…if its from the 70’s it could have lead or cadmium in the paint for the color)?? Also being painted you are unable to see what species of wood it is made from. Some woods that could be safe for birds might not be for critters to rabbits & vice versa. NOT all woods are safe for birds &/or critters to rabbits. You need to know about the parts you are working with…do the research!! There are several available lists on the web of SAFE woods for birds & for critters to rabbits.